When preparing a nursery for your baby, flooring is an important consideration. Your child will spend a lot of time on the floor—almost every day—while learning to crawl and walk, so you’ll want to make sure you choose the safest, most durable, and coziest option that matches your ideal style. With so many different flooring options available, focus on these main factors when you’re evaluating to make determining the best choice for your home and family as efficient as possible. Resilient flooring, also known as luxury vinyl, is soft, waterproof, and durable—all characteristics you need for a child-friendly nursery. It is created to mimic the look of stone, ceramic, or wood flooring while featuring the useful qualities of vinyl, including durability and water resistance. Resilient flooring makes it easy to clean up inevitable messes, like spilled bottles. Plus, it does not absorb pet allergens or dust. Hardwood flooring looks great in every room, but it is susceptible to water damage and scratches. Resilient flooring is a great alternative if you want the hardwood look. Simplify your decision-making with our free resilient flooring buyer's guide. For a soft, natural, and eco-friendly choice, consider picking cork for the floors in your little one’s nursery. Cork does not absorb allergens, and it is made with natural materials. Also, although cork is semi-waterproof and naturally resistant to mold and mildew, it is porous, so you will want to clean up messes quickly. As the softest flooring option, carpet is the most common go-to for homeowners picking new nursery flooring, but it does have some downfalls. Carpet traps allergens, dust, and dirt. And, because it’s not waterproof, it’s trickier to keep clean after spills and messes. Over time, it also shows wear and tear from foot traffic more than cork and resilient flooring. Most importantly, some carpets emit toxic airborne chemicals—known as volatile organic compounds (VOCs)—which can be harmful to babies, pets, and the rest of your family. Get help from a friendly Kermans design consultant to identify eco-friendly and non-VOC carpet options. 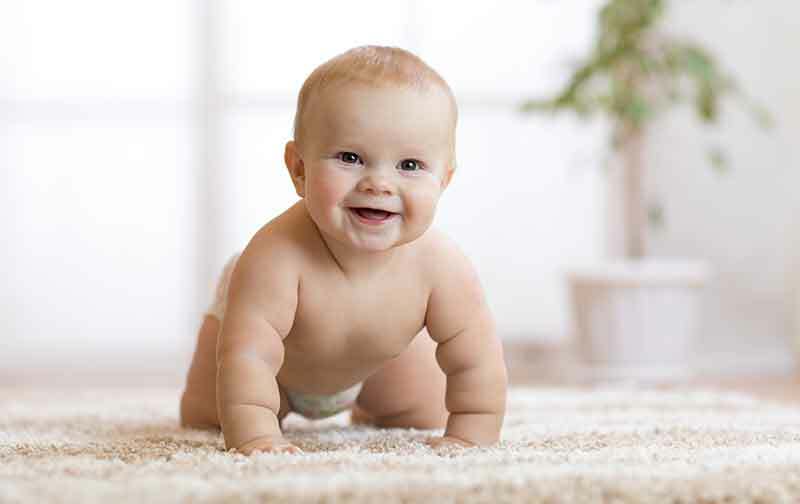 With proper care and cleaning, a VOCs-free carpet can make for great nursery floors. If you’re struggling to choose between hard flooring or carpet, you can get the best of both worlds by picking both. Pair your preferred hard flooring option with an area rug. This mix is especially ideal if you prefer the look of real hardwood flooring, but you want a softer landing for your baby. An added benefit? An area rug will also help protect your hardwood floors from scratches and damage from spills. With proper area rug maintenance, it will last years. Have questions? Schedule an appointment to stop in and see all of the different flooring options recommended for nurseries by visiting the Kermans showroom in Indianapolis.